Mary has been connected with the angels since 1995 and has worked on deepening this connection ever since. She first heard about Seraphim Blueprint in 2015. When a friend first mentioned the name, she became keenly interested and could not let it go. She researched online and found the website for the Seraphim Blueprint and immediately printed the symbol. When meditating with the symbol, she felt the power of the energies and that she had been guided to find this modality and to work with it. Two weeks after finding out about Seraphim Blueprint, she had read the book written by the founder of this system, Ruth Rendely, Seraphim Blueprint: The Power of Angel Healing and signed up for Level 1. She has taken Levels 1 through 6, finishing in fall of 2016. She has also taken many of the advanced courses. She has been entranced with this beautiful Seraph and the Seraphim Blueprint system. These poweful energies Mary has found over time become more and more filled with love and healing. Mary is a teacher at heart and loves to share her knowledge with others and now, being able to share this system through teaching Levels 1 to 6 is certainly a highpoint. During her healing journey, she has been doing healing through Angel Readings, Kundalini Reiki sessions and workshops, Integrated Energy Therapy sessions and workshops, and The Peter Hess School of Sound Massage Practitioner sessions and meditations. And now adding Seraphim Blueprint classes which she will do either in person, or on a teleconference or skype. 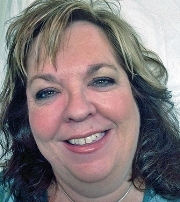 Mary lives near Baltimore, MD but is willing to travel to other places to do Seraphim classes. You may find Mary at her website: www.Wings-Unfurled.com or contact her through text or phone at 443-465-3060.